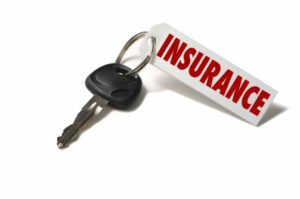 Thousands of cars on the road today have passed into “lapsed insurance coverage.” According to recent statistics, 16.1% of motorists on the road today are uninsured and 14% of all car accidents in the United States are caused by uninsured motorists. As a result, NJ prosecutors often come down hard on defendants who have been charged with driving without insurance. In fact, a conviction for driving without insurance can cause you to lose your license for as long as two (2) years, in addition to other penalties detailed below. At the Tormey Law Firm, our attorneys have detailed knowledge of traffic law in New Jersey. We have handled thousands of criminal and traffic cases throughout Morris County and New Jersey, including in Dover, Denville, Morristown, Parsippany, East Hanover, and Boonton. We will work with you to establish the best defense for your case and we will aggressively defend you against traffic violations. Contact us today for a free consultation. You can call us anytime toll-free at 866-949-6948, or you can use the online contact form to schedule a free appointment at our offices in Morristown. Any owner or registrant of a motor vehicle registered or principally garaged in this State who operates or causes to be operated a motor vehicle upon any public road or highway in this State without motor vehicle liability insurance coverage required by this act, and any operator who operates or causes a motor vehicle to be operated and who knows or should know from the attendant circumstances that the motor vehicle is without motor vehicle liability insurance coverage required by this act shall be subject, for the first offense, to a fine of not less than $300 nor more than $1,000 and a period of community service to be determined by the court, and shall forthwith forfeit his right to operate a motor vehicle over the highways of this State for a period of one year from the date of conviction. Upon subsequent conviction, he shall be subject to a fine of up to $5,000 and shall be subject to imprisonment for a term of 14 days and shall be ordered by the court to perform community service for a period of 30 days, which shall be of such form and on such terms as the court shall deem appropriate under the circumstances, and shall forfeit his right to operate a motor vehicle for a period of two years from the date of his conviction, and, after the expiration of said period, he may make application to the Director of the Division of Motor Vehicles for a license to operate a motor vehicle, which application may be granted at the discretion of the director. The director’s discretion shall be based upon an assessment of the likelihood that the individual will operate or cause a motor vehicle to be operated in the future without the insurance coverage required by this act. A complaint for violation of this act may be made to a municipal court at any time within six months after the date of the alleged offense. Failure to produce at the time of trial an insurance identification card or an insurance policy which was in force for the time of operation for which the offense is charged creates a rebuttable presumption that the person was uninsured when charged with a violation of this section. If you allow your motor vehicle insurance coverage to lapse, the financial penalty for the first offense is, at a minimum, $300. You could be fined as much as $1,000 and sentenced to a period of community service to be determined by the court. There is also a mandatory license suspension of one (1) year from the date of conviction. For a second offense, the financial penalty could be as high as $5,000. There is also a chance that you could be sentenced to a term of 14 days in jail and then ordered by the court to perform community service for a period of 30 days. Additionally, a conviction will result in a mandatory license suspension of two (2) years. If you have been charged with driving without insurance in New Jersey, there is a “rebuttable presumption” that you are guilty. This means that the State gets the benefit of an assumption made by the court that you were in fact driving without insurance. However, an experienced traffic defense lawyer can help you contest the presumption. For instance, you may be able to produce a proof of insurance that establishes that the vehicle was insured on the date of the violation. Another defense is that your insurance policy was cancelled without your knowledge. A knowledgeable traffic lawyer can help you raise these defenses in court. Losing your license for any period of time can make your life incredibly difficult. It could make it impossible for you to get to work each day. Beyond that, if you are cited for driving without insurance, you will receive nine (9) points on your license, which will result in MVC surcharges and higher insurance rates. Clearly, the penalties for a conviction are severe. If you have been charged with driving without insurance in Morris County or elsewhere in New Jersey, you should contact an experienced traffic attorney immediately. For a free consultation about your case, call one of the skilled Morristown traffic defense lawyers at the Tormey Law Firm at 866-949-6948, or use our online contact form.